Logic Product Group was conceived by two New York City parents in their effort to keep the planet a safer place for their children. Logic Product Group harnesses the power of plant-based enzymes to create LiceLogic clean, green, biodegradable, non-toxic products built to prevent, protect and treat lice. 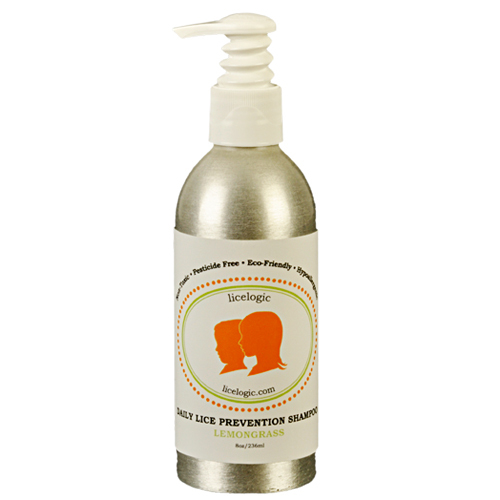 LiceLogic Prevention Products use essential oils to repel lice on contact. LiceLogic Treatment Products use an effective plant-based enzyme that will immediately penetrate and destroy lice from the outside-in, while eroding stubborn nits and their glue. LiceLogic products are pesticide-free, are bio-degradable, hypo-allergenic and not tested on animals. LiceLogic products are formulated and bottled in an FDA-approved laboratory in the United States. LiceLogic products are safe for preventative daily use and come in refreshing rosemary, lavender, lemongrass, and peppermint. LiceLogic Daily Lice Prevention Shampoo-8oz. Our effective, safe, gentle conditioning shampoo is proven to help repel and eliminate head lice from the hair. Our shampoo incorporates our own essential oil blend in conjunction with a powerful blend of botanicals which will leave hair feeling conditioned, soft and freshly scented with each use. Safe for daily use on children over the age of two. Recommended to be used in conjunction with licelogic’s Daily Prevention Conditioner as part of your daily lice fighting regimen. 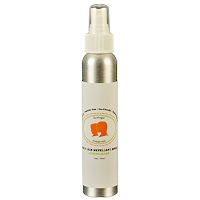 LiceLogic Daily Lice Repellent Spray-4oz. 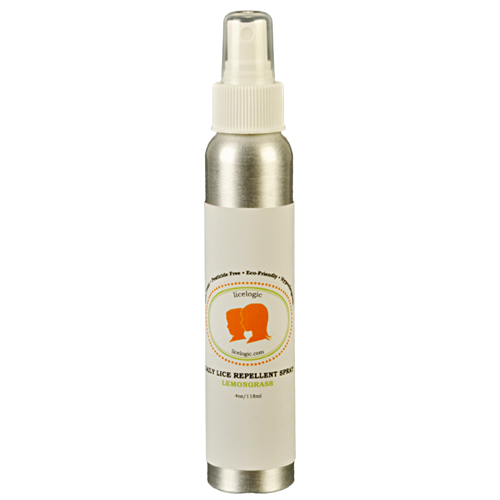 Our safe, gentle & effective leave in conditioning spray uses natural, organic, aroma-therapeutic essential oils to help repel lice. LiceLogic has formulated this must-have spray to be used daily to help protect all members of your household from head lice, especially children attending school or camp. I'm really hoping this stuff is as good as they say. My daughter brought home head lice about a year ago and it took so long washing and combing her hair and mine (yes she was kind enough to share with mommy). I've used it a few times since receiving it just to see how well it washes. I am pleased to say it lathers nicely and gives her hair a nice fresh scent. We got the lemongrass and it really smells nice. I plan to be using it a lot this fall for sure when school starts, I don't want to ever have to deal with head lice again. It took two shampoos to get them all killed and out last time. I love the scent that these products come in. I like that it's not a chemical smell or something nasty. Plus it's in a very nice bottle, not something with a big bug on it or something so it looks good sitting in the shower. Hopefully we'll never need them but LiceLogic products come in a variety of scents and cover everything from prevention to treatment. Win it: One lucky reader will win a bottle of Lice Repellent Spray in Lemongrass. This giveaway will end June 8th at 10 PM EST. The winner will have 48 hours to respond to my email. If no response, a new winner will be chosen. Open to residents of the US. Mandatory Entry: (Mandatory entry must be completed first or bonus entries don't count.) *Tell me one fact/tidbit of information that you find interesting found on their detection & prevention page here. Black dried dots that look like grains of sand coming from the scalp. I thought this was an interesting fact: "Do not treat lice with over the counter pesticide based shampoos commonly found in pharmacies". Head lice have built up a resistance to over the counter pesticide based shampoos over the decades and are no longer effective. I follow Logic Product Group on Twitter. I follow Logic Product Group on Facebook. I learned that you need to treat lice immediately! I like logic product group on facebook. I learned that the eggs are usually oval in shape and can appear in color anywhere from white, to off-white, yellow, brown or reddish. Thanks for the giveaway! Avoid hanging your coat next to somebody who has lice and do not let your personal possessions touch theirs. Do not share hairbrushes, combs, hair accessories, hats, or scarves with other people, including siblings. I learned that the lice were the size of sesame seed or smaller. I always thought they were a larger blsck bug but I guess not. I follow the logic product group on twitter as kmayans. i learned one of the signs is A small dead bug on sheets or bedding the size of a sesame seed or smaller. I learned that head lice have built p a resistance to over the counter pesticide based shampoos over the decades. This is very nice to know. Thanks for a wonderful giveaway. I follow Logic Products Group on Twitter.